Every year, our design team scours the globe to carefully curate the finest gifts to fill our Baskits. From new and well-loved brands to unique products made exclusively for us. Each assortment is precisely crafted to fit the theme of accompanying products and physical vessel size selected. For a number of reasons, we strongly recommend that you select a baskit designed by our team of experts. However, if desired, we would be pleased to customize any one of our baskits to your specific selections for an additional charge of $15 per baskit. Customization services are provided on a complimentary basis for orders of 25 or more baskits. Please note we are unfortunately unable to offer customization during November and December unless more than 25 units are ordered. At Baskits, we take great pride in selecting only the freshest and finest products available. If for some reason, your gift arrives damaged, please notify us within 48 hours of receipt and we will be happy to provide a replacement. Pursuant to health and safety regulations, we are unable to exchange or accept returns on food products. Non-perishable items, however, may be exchanged at our head office. Exchanges are valid for 30 days from the order date and are subject to a 15% restocking fee. Please note that refunds may only be issued to the purchaser and incurred shipping charges are not refundable. Please note that food items may be photographed opened up so that you can get a true sense of the product. However, the actual product sent will be individually wrapped to ensure ultimate freshness and to comply with food safety standards. Mon−Fri: We offer same day GTA delivery for orders received before 10:30am Eastern. During the peak holiday season (Nov/Dec) deliveries will be made next-day or later. We offer local delivery in the Greater Toronto Area from Monday to Friday, between 9:00am and 5:00pm Eastern Time. During the holiday season, residential gifts may be delivered up until 8pm. Please note that delivery is attempted on the date selected, however, we are unable to guarantee delivery on that date. If a recipient is not available when delivery is attempted, the gift may be left with reception, concierge, a neighbour or on the front porch if the area is considered safe by our driver. If the area is deemed unsafe or there is nobody available to accept the gift on the recipient’s behalf, it will be returned to our head office and the sender will be contacted for further direction. Mon−Fri: Orders shipping outside of the GTA placed before 12:30pm will ship out same day. Ontario & Quebec: 1−3 business days. Please note: we work with third party for deliveries outside of the Greater Toronto Area and are unable to redirect deliveries with this partner once they have left our warehouse. Please note: there may be delays due to customs and we cannot ship alcohol to the United States. * Faster delivery service is available. Add product to cart to check rates. Festive Season – To avoid disappointment, please order as early as possible during Nov/Dec. Hospitals & Hotels (GTA) - Deliveries to hospitals and hotels are only recommended within the GTA. Please provide the recipient’s full name, room number and whether the recipient is a patient, guest, employee, etc. Hospitals & Hotels (Outside of the GTA) - For areas outside of the GTA, we recommend delivery to a residential address as opposed to a hospital or hotel to avoid potential delays. Apartments & Townhouses - Please be aware that the recipient may be called if the gift is being delivered to an apartment or townhouse without concierge services. The order may be delayed until we can confirm someone is available to accept the delivery. 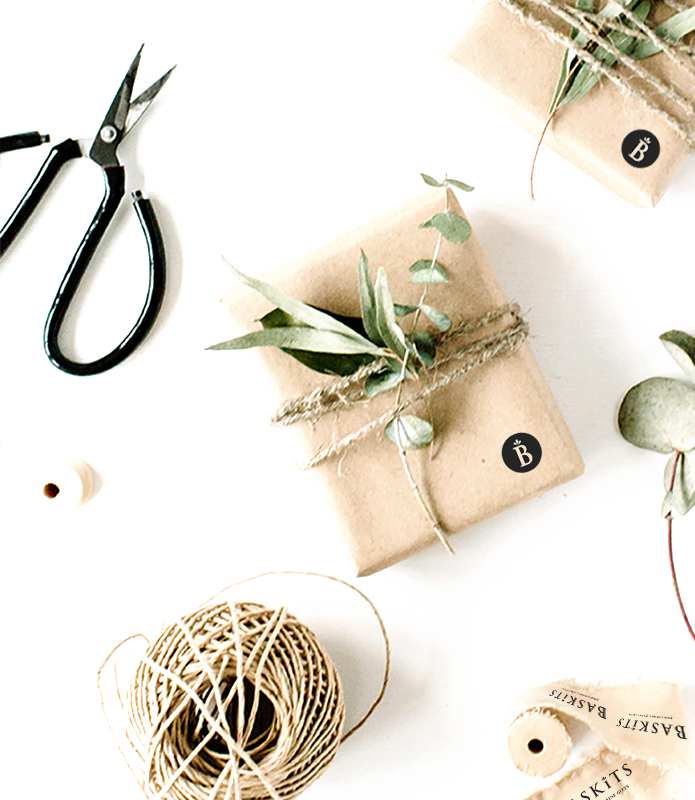 We reserve the right to make substitutions of equal or greater value as required to ensure the timely delivery of your gifts. As Canada’s leading gift delivery company, our intention is to always send gifts as shown. However, sometimes situations beyond our control arise where this is not possible. For example, a component supplier may discontinue a product or change packaging without notifying us. Please rest assured that our goal is to exceed your expectations and build a long term relationship with you. This brand value guides everything that we do at Baskits! From time to time, we attempt delivery and the gift is undeliverable. This can occur if the item is refused at the time of delivery, an incorrect address was provided, the order was missing information, the recipient moved, it was deemed not safe to be left, and so on. If a gift is undeliverable, it is returned to our head office and the sender will be notified at the phone number and/or email address provided when the order was placed. For delivery to be attempted a second time, a second delivery fee will be applied, since a second delivery will be made. If the sender does not wish to reattempt delivery, the base cost of the gift less the 15% handling and restocking fee will be refunded to the purchaser. Please note the original delivery charge will not be refunded since the original delivery attempt was made. If we are unable to make arrangements for redelivery within 30 days of the return, the gift will be considered abandoned.